Picture New York in the 80s. Graffiti is slowly emerging from the Lower East Side’s dark alleys to the trendy galleries. Artists, drug dealers, and pimps own Downtown: a (not so safe) haven for visionary minds. A girl buys a one-way bus ticket to New York with only a few bucks in her pocket. Suzanne Mallouk’s story starts like many others, but the rest is History. Literally. I am not a fast reader, but I finished Widow Basquiat in 3 days. 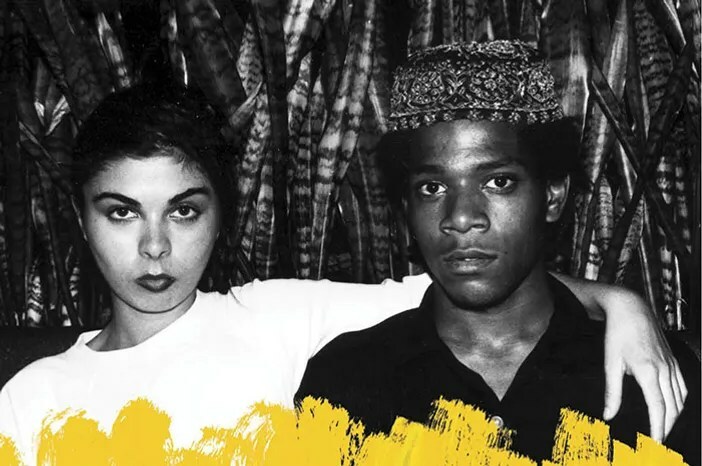 This book is as addictive as the nature of Suzanne and the legendary Jean-Michel Basquiat‘s relationship. Once you start, you just can’t stop. Kind of like the heroin that the two lovers used to do in the Great Jones loft. Beyond an inexplicable form of nostalgia – it’s not like I WANT to be a heroin addict in an abusive relationship – the book made me want to explore today’s New York art scene. Basquiat only gained recognition as a major artist in the last few years of his young life, and even then, his paintings sold for the fraction of what they do today. I’m now on a mission to meet the legends of tomorrow. And even if we all know how this love story ends, Widow Basquiat still makes it a fascinating journey. Order Widow Basquiat on Amazon. If you want to immerse in Basquiat’s world, don’t miss The Unknown Notebooks Exhibition at the Brooklyn Museum until August. Can A Frenchie Enjoy An Upstate New York Getaway? The Rachel Dolezal Issue: Is Transracial The New Transgender?